Fanboys erupted during the week, and Alan Moore rolled his eyes as 2009’s “Watchmen” director, Zack Snyder confirmed that the ending of the movie is different from the novel. 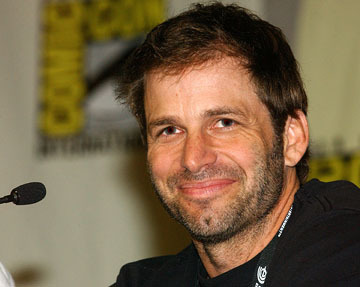 You may recall my origina article linked here, where there rumours abound, well those rumours have been confirmed by Snyder. Synder in an interview claims that the ending had always been different from the novel in every draft of the script he read. He also debunked rumours that a number of endings were films and tested. He went on to say that he “embraced” the revised ending. Which of course he would, with the paycheck he’s getting to direct! My own personal view on it is mixed. I’m not a purist when it comes to these things. Despite many discussions when Transformers was being released about the robots looking more like Lego Bionicles and exo-skeletons, I was of the belief that it was the best template given we dont live in 1980 something anymore. However, when I read the graphic novel, there were themes and the pirate sub plot which I felt did carry great meaning when reviewed in context of the ending. Sure the ending is a bit of the wall and one of the arguments for the side who welcome the change is that its not a realistic/believable ending in the vein of the realism in the story up that point. My counter argument is that superhero blue men making themselves big and small at random, who take holidays on Mars, is no less realistic than the novel’s ending! OK nerdyisms aside, Im not put off by a revised ending. I’m not the type to picket the cinemas with Fr. Ted “down with this sort of thing” banners. I do hope though, that one of the rumoured endings surrounding Dr. Manhattan does not come to fruition. Maybe I am a nerd afterall? ← Latest Mad Movie News!